Primatologist Davis Okoye, a man who keeps people at a distance, shares an unshakable bond with George, the extraordinarily intelligent silverback gorilla who has been in his care since birth. But a rogue genetic experiment mutates this gentle ape into a raging creature of enormous size. To make matters worse, it’s soon discovered there are other similarly altered animals. 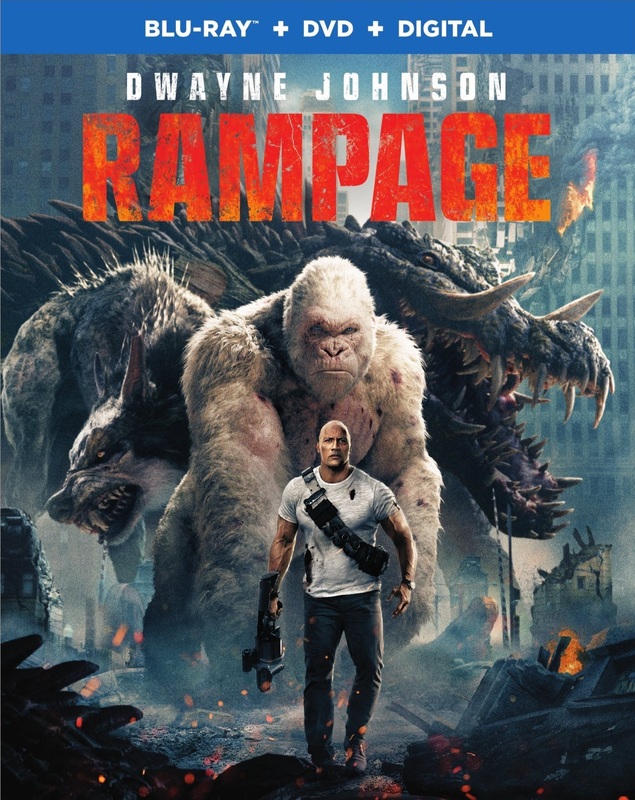 As these newly created alpha predators tear across North America, destroying everything in their path, Okoye teams with a discredited genetic engineer to secure an antidote, fighting his way through an ever-changing battlefield, not only to halt a global catastrophe but also to save the fearsome creature who was once his friend. From arcade sensation to movie monster epic, we explore how the Midway video game inspired the filmmakers to create the ultimate disaster film. Hilarious outtakes and mishaps captured during production. Deleted scenes that barely missed the final theatrical cut. Actors in Action: Strap in for a wild ride as Dwayne Johnson, Joe Manganiello and the cast prepare for the film's demanding stunts and explosive set pieces. Follow the innovative design team and the artists at Weta Digital as they bring to life the biggest and baddest monsters for the film's climactic battle royal. Director Brad Peyton reveals the challenges of filming on-location in Chicago and turning digital destruction into a cinematic reality. Discover the wonder of what it's like to be a gorilla, as movement coordinator Terry Notary teaches actor Jason Liles how to move, behave and become "George.